The Association of the Accounting Technicians is a professional membership body with more than 130,000 members worldwide (MAAT), represented in over 100 countries and with a growing community. Each year students take more than 300,000 computer based assessments and successfully complete their professional certification in finance and accounting. Members work in various industries – from private and non-accountancy practices, through public sector and voluntary, NPO-s. AAT innovates with enhanced products and services each year, offering a finance and accounting qualification with real-world skills that employers trust. In Bulgaria, MDV – Premier Member of BPP Global Network, provides the study materials, online support and professional trainings of BPP. 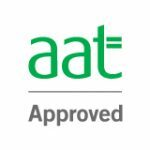 Our professional tutors will help you prepare for a successful start in your career, build your confidence by solving everyday work tasks as part of your AAT studies. We rely on proven expertise and focused approach. Join a practical training in Finance and Accounting that will help you prepare for your start in the AAT qualification. MDV Professional Education is a Certified AAT Examiniation Centre in Bulgaria. You can use the online booking form to check availability and dates. Sign up for our mailing list to get latest news about our courses, events and new promotions.